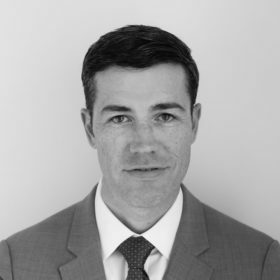 Matt McDonald is a Partner at Hamilton Place Strategies and has served as a senior counselor to leaders in the public and private sectors for more than a decade, providing guidance at the intersection of communications and business strategy. At HPS, Matt leads work in finance, technology, education, and energy, and his work has ranged from reputation building and thought leadership to strategy development and organizational change. Matt also leads work on crisis communications and debates around issues of intense public scrutiny. Prior to HPS, Matt was a consultant for McKinsey & Company in their New York and Washington offices. In that role, he helped C-suite executives confronting generational industry and economic upheaval in the aftermath of the economic crisis. Matt served under President Bush as Associate Communications Director at the White House with responsibility for economic issues. Matt has also served in senior roles on three presidential campaigns. In 2012, he led research and messaging for Governor Romney related to private equity issues. During the 2008 campaign he prepared Senator McCain for debates, counseled him on the response to the economic crisis, and was part of the senior leadership team directing campaign strategy. Matt also worked as the Rapid Response Director for President Bush’s 2004 reelection and served in a similar leadership role as a Senior Advisor to Governor Schwarzenegger’s reelection victory in California. Previously, he was a speechwriter for governors and members of Congress. Matt holds a degree in economics from Dartmouth College and an MBA from MIT’s Sloan School of Management. He lives in Washington with his wife and their three children.